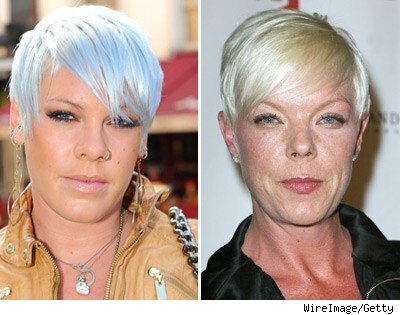 Here's light blue-blonde pop star P!nk (left) in London on Monday -- and intensely outspoken hairstylist turned host Tabatha Coffey (right) of Bravo's "Tabatha's Salon Takeover." One of them says she is 39. P!nk is 29.